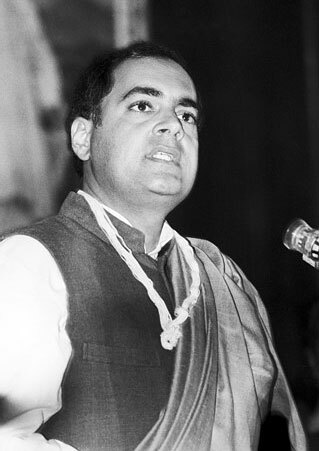 The Central Information Commission has turned down a plea of Rajiv Gandhi assassination case convict A G Perarivalan seeking the records carrying the reasons for the rejection his clemency petition. Opposing the plea, the ministry of home affairs cited a Delhi high court order which restricted the disclosure of communication between the then President K R Narayanan and the then Prime Minister Atal Bihari Vajpayee, saying the RTI Act cannot have overriding effect over the Constitution of India. According to a Supreme Court decision, advice tendered by the ministers to the President under Article 72 of the Constitution shall not be inquired into in any court. However, none of the cases cited by the home ministry relate to the issue of disclosure of material on the basis of which the mercy petition of death row convicts were decided by the President and the applicability of the RTI Act on such records. In his RTI application, Perarivalan wanted to know the reasons of rejection of his mercy petition filed under Article 72 of the Constitution. While rejecting Perarivalan’s petition, Information Commissioner Sushma Singh held, "In this case the reasons are primarily recorded in the advice tendered by the council of ministers which is protected by Article 74 (2) of the Constitution. As held by the hon’ble Delhi high court, the provisions of the RTI Act are also bound by the Constitution." However, Singh allowed the disclosure of the report of the Multi-Disciplinary Monitoring Agency to Perarivalan as was instructed by the CIC in a separate case filed by his lawyer Mayilsamy K.
Appearing through video-conferencing for hearing, Perarivalan had argued that the Supreme Court order on Article 74 might prohibit only the courts from inquiring into the advice tendered by the ministers but it cannot be said by any stretch of imagination that the citizens and the person affected would not have right to know the reasons. "Hence the reasons ought to be provided. Therefore, the information sought in the original application needs to be allowed in full," he said. He said the rejection was made by the President and the same is intimated to the affected convict through the MHA. Therefore, the reasons for rejection by the President are not prohibited from disclosure by citing any provisions of law except those under the RTI Act as this is an umbrella law which governs the disclosure of information by the government authorities. He also reasoned that a duty is cast upon every public authority under section 4 (1)(d) of the RTI Act, 2005, to proactively communicate the reasons for any administrative or quasi-judicial decisions to the affected party. However, neither the ministry of home affairs nor the President’s secretariat has provided him with the reasons for the rejection of his mercy petition. The convict had also submitted that the MHA had earlier furnished an incomplete compilation of documents pertaining to the mercy petition file to Mayilsamy K (advocate) on his behalf. Seeking the disclosure of MDMA records, he had said it was necessary for him to know whether any investigation in this regard has been completed at all and whether those facts were considered before deciding his mercy petition.